For the children of Westall High School in Victoria’s Clayton South, there was no indication that the day of April 6, 1966 would be among the most remarkable of their lives. Around 11:00 am, a group of students was returning to class from a sports lesson at the school oval when a number of them spotted a large grey or silver saucer-shaped object—or objects—floating through the sky. 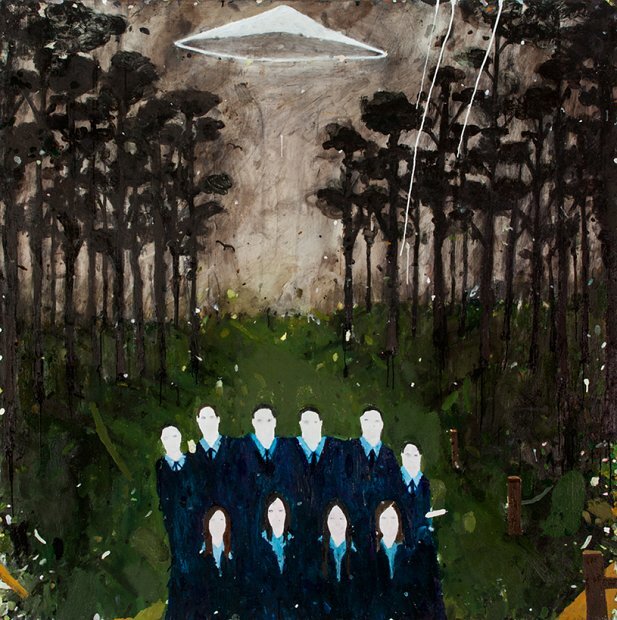 Children emerged from their classrooms, drawn out by excited proclamations about “flying saucers.” A number of them allegedly collapsed in fright, terrified of the sight before them. Yet the object seemed benign enough; it gradually made its way across the school and eventually disappeared behind a row of pine trees, apparently landing in a nearby paddock. Around 20 minutes later, it rose above the trees again, then rapidly shot off to the northwest. Some have suggested that it was pursued by a number of Cessna planes, though not all witnesses saw them. For a time, students milled around, hoping that it might return. It did not—but its departure was accompanied by the arrival of military and police personnel, who tried to contain the incident as best they could. Students were forbidden to speak to the press, and the school principal issued a statement attributing the whole thing to mass hysteria. Witnesses were left with questions, but no answers or means of coping with what they had just experienced. 52 years later, many of them are still looking. To provide some background, “Westall” is the unofficial nickname of Clayton South, a little suburb around 13 miles outside of Melbourne’s CBD (City Centre). Inhabited by European settlers since the mid-1800s, the area was largely used for farming and market gardening. But by the 1950s, it was undergoing a prosperous period of expansion. Industrial ventures, including a Volkswagen assembly plant, attracted greater residential settlement. However, it never industrialized to the extent of some of its contemporaries; even today, Clayton South remains a relatively small suburb, with less than 15,000 people living in the area. Melbourne itself was also flourishing. Migrants were arriving from around the world looking to make a home there, attracted by the greater stability and potential for growth that the city offered. But there was a dark undercurrent to the happy exterior; like much of the rest of the world, the twin spectres of communism and nuclear war loomed large in the public consciousness. People were afraid, and not without reason. The terrible devastation caused by World War II was well within living memory. Then, as now, there was no guarantee that far worse would not take place in the future. So it was against this prosperous yet paranoid backdrop that the Westall sighting took place. UFOs have a storied history in Australia, with written records arguably stretching back as far as the late 18th century. As might be expected, ancient astronaut enthusiasts have controversially pointed back much further, to the Wandjina of Aboriginal mythology. In more recent times, the continent has been home to high-profile UFO cases such as the disappearance of Frederick Valentich, the Nullarbor Plain UFO, and the alleged abduction of Kelly Cahill. Yet the Westall UFO still stands high above them all in local lore. UFOs captured the Australian imagination to a considerable degree, particularly after the famous Kenneth Arnold sighting of 1947. Investigative groups like AUFORN (The Australian UFO Research Network) have scoured newspapers from the era and come up with plenty of sightings, which might otherwise have been lost to history. Flicking through these reports, Melbourne does not seem to have been specially singled out as a UFO hotspot, though it definitely had its share of sightings—just as you might expect from a major urban center. Yet this interest does not seem to have fostered some of the more unusual and extreme elements that accompanied the rise of the UFO phenomenon in the US. Australians love many things about American pop culture, but there is frequently a more cynical attitude towards its many excesses. Though Australians may have been entranced by the prospect of UFOs and in turn extraterrestrial life, there is no Antipodean equivalent of, say, George Adamski. Contactee cults and their ilk are more likely to attract overt mockery than committed followings. But a greater crowd of witnesses has not guaranteed greater clarity. Inconsistencies in testimonies, real-life pressure to keep quiet, and other mysterious happenstance has meant that the truth remains elusive. 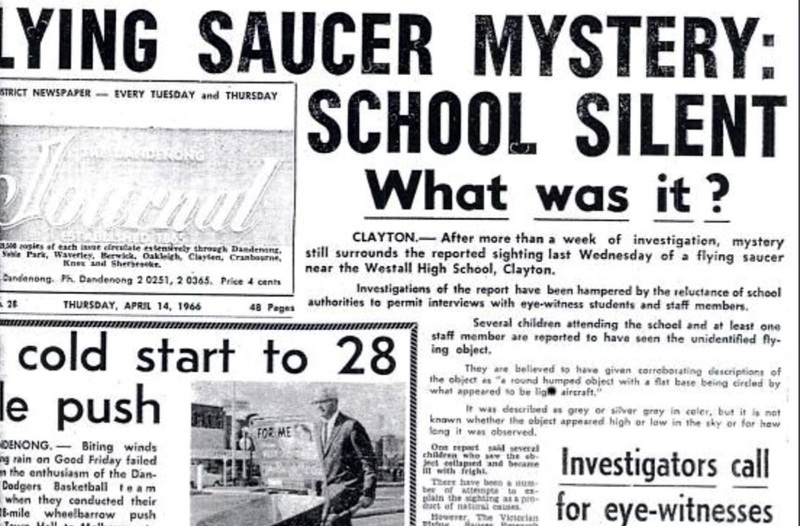 Canberra teacher and amateur investigator Shane Ryan has helped spearhead the search for answers in recent years, most prominently through his 2011 documentary Westall ’66: A Suburban UFO Mystery. The documentary has helped bring the case to wider—even international—public attention, and yet there has been no official government statement forthcoming. In the absence of official explanation, other hypotheses have emerged. Experimental aircraft and mass hysteria, combined with the mercurial nature of memory, are perhaps the most obvious. Indeed, it’s perhaps the most plausible of all for those not convinced of otherworldly explanations. It certainly makes sense in light of the time period of the incident; despite its distance from the USA and the USSR, Australia was not immune to the wider machinations of the Cold War. Assuming there were any official files on the topic, it’s entirely possible that they were classified Top Secret for reasons of National Interest, and still remain as such. There is another possibility that is arguably even more popular—weather balloons. A favorite of UFO skeptics and serious investigators alike, it’s an oft-touted explanation of UFOs. It’s frequently correct, too—though in the case of Westall it’s met with fierce opposition from witnesses of the event. The rebuttal is that weather balloons do not typically move across the sky at the speeds mentioned, nor do they typically attract the attention of military planes. Yet in an intriguing variation on the weather balloon explanation, UFO researcher Keith Basterfield suggested in 2014 that it may have been the result of a secret radiation testing project. Using Freedom of Information laws and existing documentation from the National Archives, Basterfield found evidence of the HIBAL program—a joint US-Australian project that ran from 1960-1969. During this span, large silver balloons were used to monitor radiation levels, largely due to the controversial nuclear tests that had taken place in Maralinga, South Australia, just a few years before. These balloons were equipped with a 180kg payload of relevant testing equipment and were followed by a light aircraft responsible for remotely triggering its parachute to descend. Irrespective of what actually happened, the Westall UFO undeniably had a profound impact on the lives of those who witnessed it. Lucadou-Wells describes witnesses he’s spoken to as feeling “blessed” by the experience. Numerous witnesses still regularly appear in the media to discuss the case. Shane Ryan continues to investigate, looking for the truth and acting as support for those who witnessed the UFO first-hand. 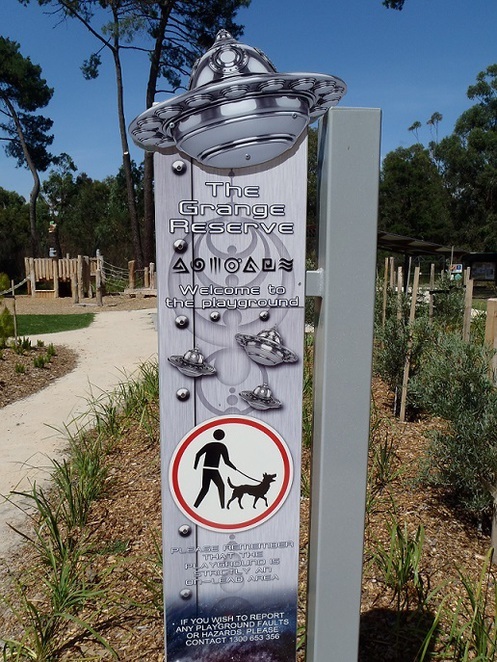 In 2013, the Westall UFO received a public tribute in the form of Grange Reserve UFO Park. With play equipment designed to look like witness descriptions of the UFO—and an accompanying BBQ area—it’s an impressively unusual tribute to an undoubtedly strange event. It’s hard to know whether the answers will ever become completely apparent, and to some degree it may not even matter. Were the Government to reveal all tomorrow—assuming it has the relevant answers—it’s entirely possible some would write it off as another cover-up, or simply refuse to accept the disparity between the reality and their experience. Yet it will continue to fascinate both at home and abroad. US filmmaker James Fox (I Know What I Saw, UFOs: 50 Years of Denial?) visited Melbourne in late 2017 to interview a number of Westall witnesses, which is testament to the impact of the event, more than 50 years on. There is little doubt that something on an extraordinary nature was seen over the Westall school area, and that at least one of these objects appears to have landed and apparently left behind some physical traces. Numerous witnesses confirm these basic details. 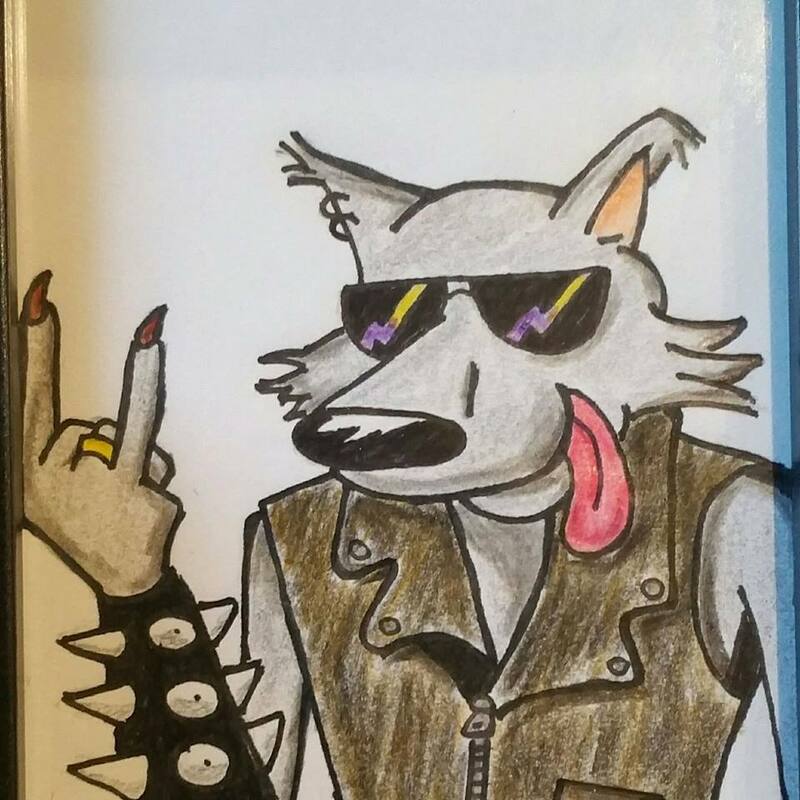 Other more exotic details vary in credibility, some seemingly complementing each other and some apparently contradicting the generally accepted story of events. For the time being, the truth really is out there.